The end of last year, I wrote about using black salt. I didn't realize there were many different types until I heard my sister mention making it to help protect your house. There are 3 main types of black salt; black Indian salt (Kala Namak), black lava salt, and black ritual salt. 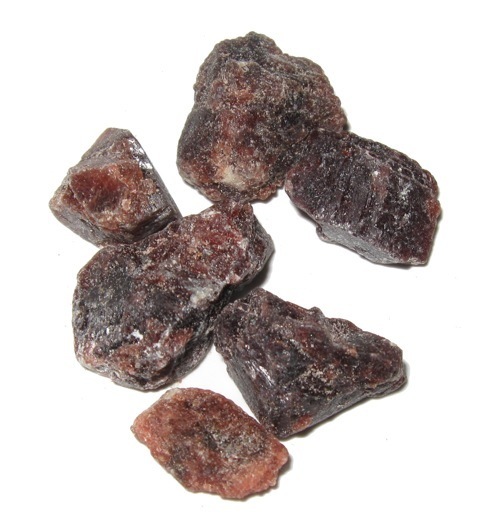 Black Indian salt is not really black, but more a dark reddish-purple color, like the picture above. When it is ground into powder, it is more of a pinkish color. It is a natural rock salt tha is mined in South Asia, and used in many Indian or Pakistani dishes, such as chutneys or chaats. It has a very specific aroma and distinctive taste, almost like eggs. I use it when making Eggless Salad, (p. 74, EHH). Black lava salt is a sea salt that has been mixed with activated charcoal. It has a more earthy flavor to it than black Indian salt, and usually comes from one of 2 main regions, Cyprus and Hawaii. 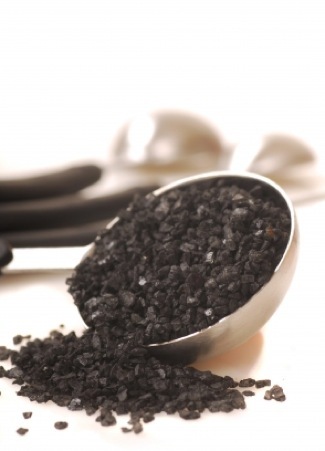 Black lava salt is used more often as a finishing salt added at the end of the cooking process. Black ritual salt is salt (table, kosher, rock, sea) mixed with ash/char and/or scrapings from cast iron - sometimes it is mixed with black pepper. This black salt is not to be confused with the other 2 types, since it is usually not consumed. Depending on the store you go to, a package might be labeled just as black salt, with no other indication of the type. You can also buy black India salt and black lava salt online. Black salt is still salt and still contains sodium. While companies that sell black salt claim there is less sodium than regular salt, there is still sodium. Have you tried one of the black salts? Did you like it?